Bathroom Remodeling in Eugene 2016 - Castile Construction, Inc.
Castile Construction is a local Bathroom Remodeling Contractor. 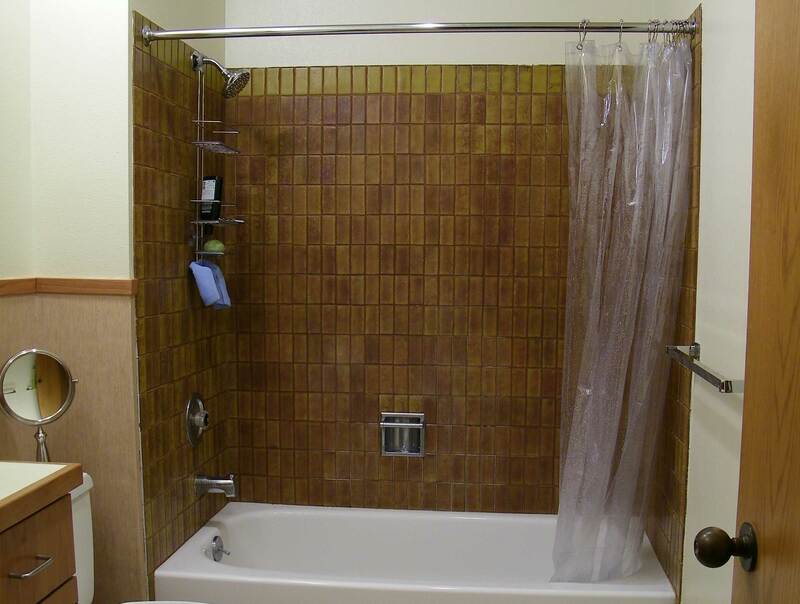 On this page we introduce a recent Eugene Bathroom Remodeling project we did. This bathroom design is bright, airy, and luxurious! 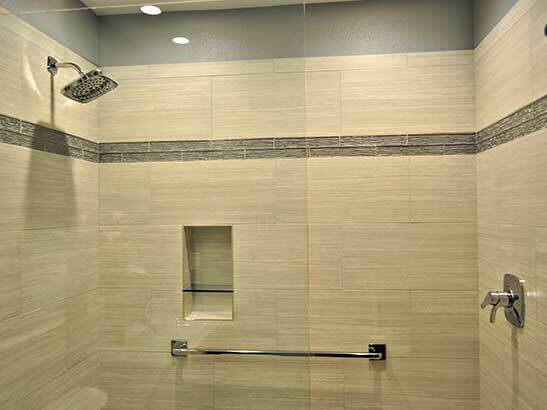 Included is a heated tile floor, continuing into the shower, sloped to a ribbon drain for drainage and a glass partition that separates the shower from the rest of the bathroom. 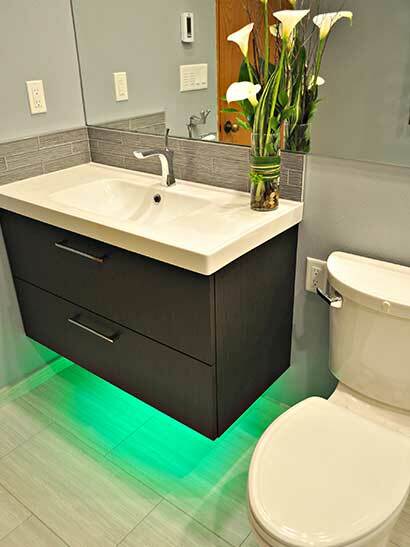 The floating vanity makes for easy cleaning as well as providing a really cool under cabinet lighting effect. The addition of the heated towel bar makes for cozy mornings with a dry, warm towel. 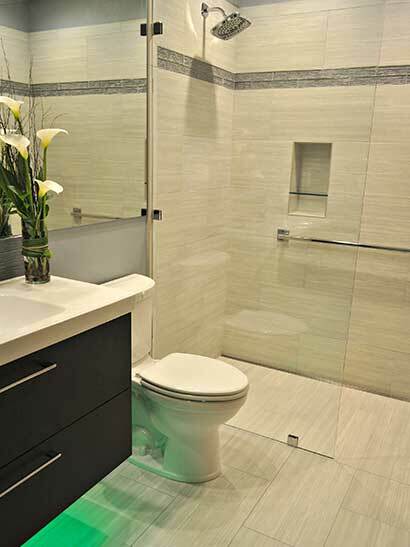 With the use of a full wall mirror we were able to give this bathroom an expansive feel. This bathroom located in downtown Eugene was more than overdue for a remodel, and is now the envy of the neighbors. 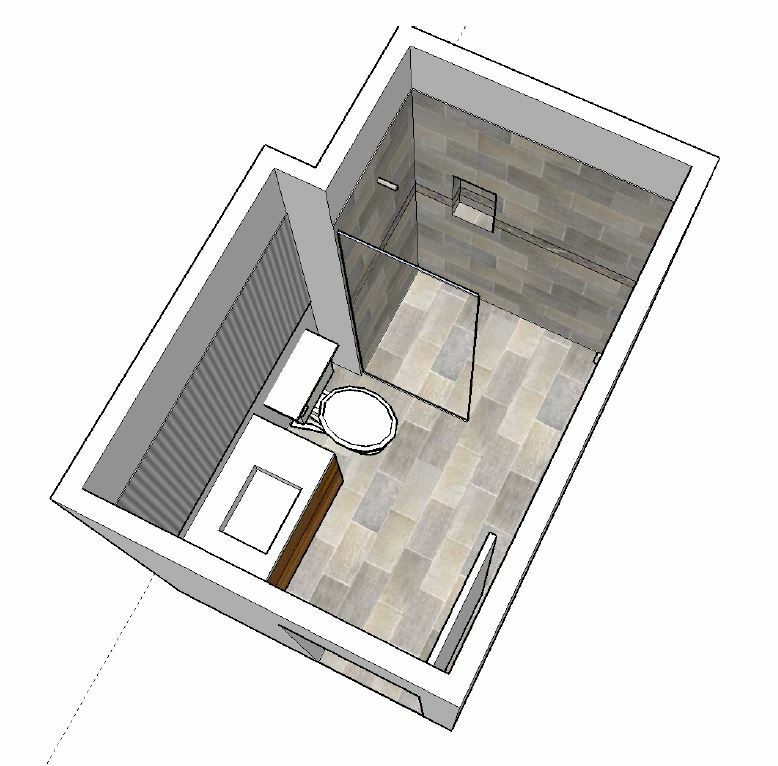 Sometimes it is hard to imagine the finished product when you are starting out with a design, so following is what the bathroom shower looked like before Castile started their work. Notice how open and bright the shower area has now become. Using the same tile on the floor and wall gives this space an open elongated feel. The glass partition wall used to keeps the water in the shower area, and combined with crisp lighting keep the this room feel as large as possible. Now look at the following pictures of the vanity before and after we completed the work. This sleek floating vanity with it’s concealed downward direct lighting gives this bathroom an ultra modern feel. 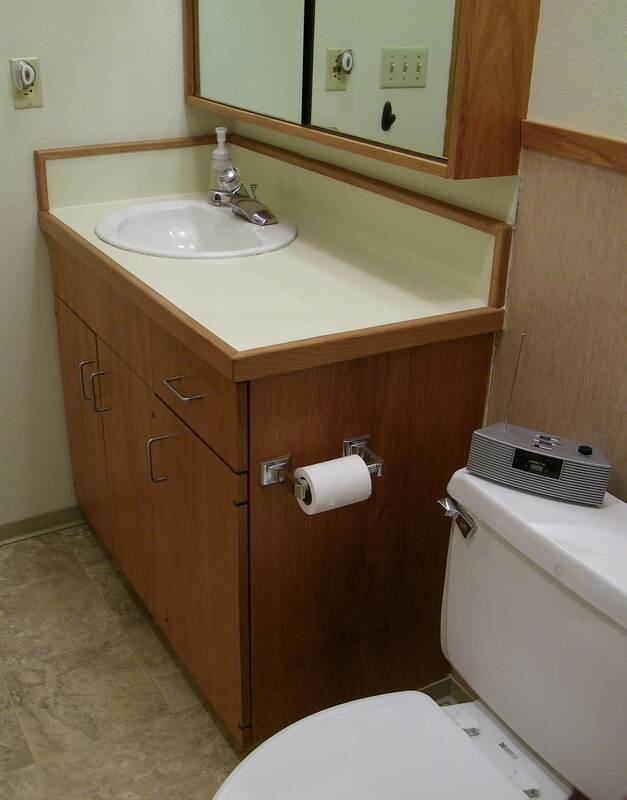 In addition, this vanity the two large drawers in this vanity giving this bathroom ample storage space. Contact Castile Construction today to begin your next bathroom remodeling project!